French Model Railway: Good old Germany. 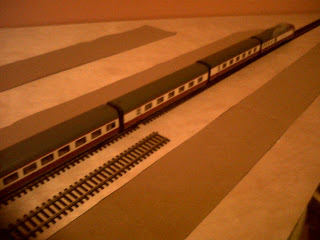 The rest of my Trans Europ Express coaches arrived from Michael in Freudental in Germany. There had been a lot of mucking about at my end in trying to transfer the payment but Michael's bank in Germany had been very helpful communicating with me in English. 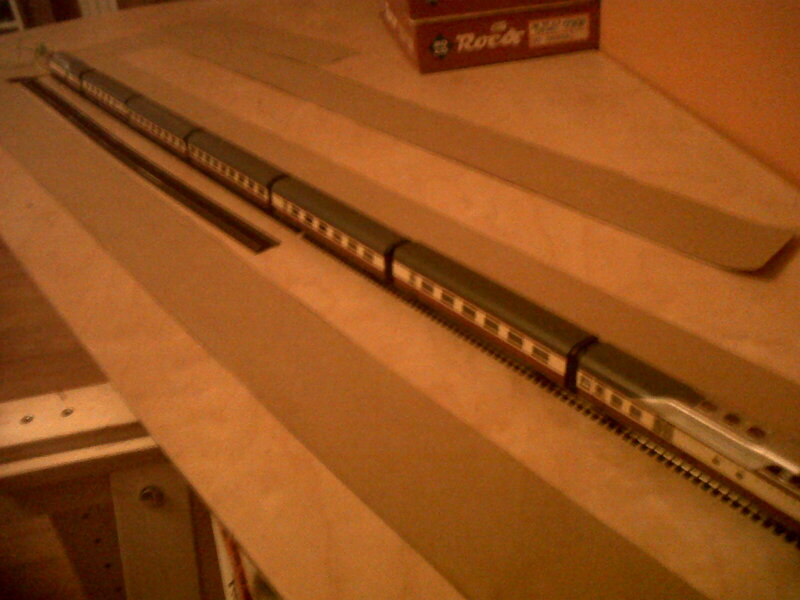 Michael had also been very helpful and patient. 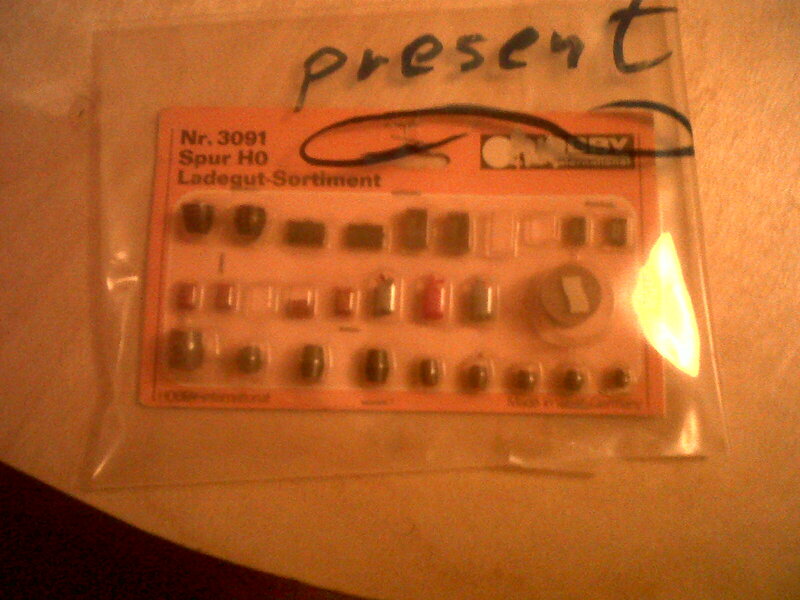 And, he included a little "present" of HO scale station accessories! 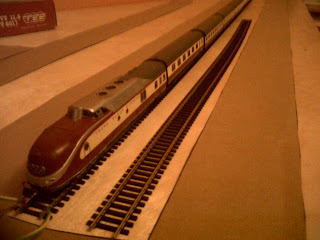 Anyway, here are some photos of the complete Trans Europ Express - difficult to get it all in the frame. 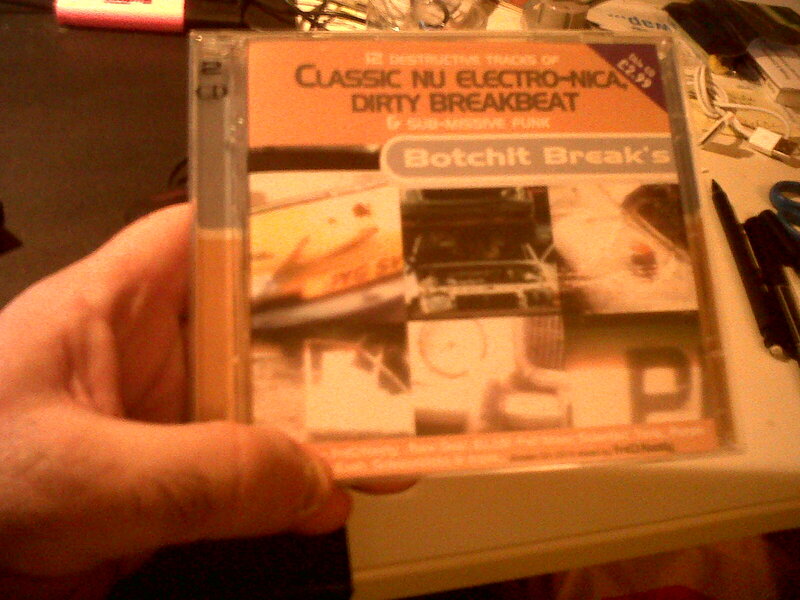 Tonight, I have been mostly listening to Botchit Breaks - dug out from my CD cupboard as a change from iTunes.